Flavorful Elements is headquartered in Hong Kong and distributes their seasonings within Asia and North America. They pride themselves on using all-natural ingredients in their products. 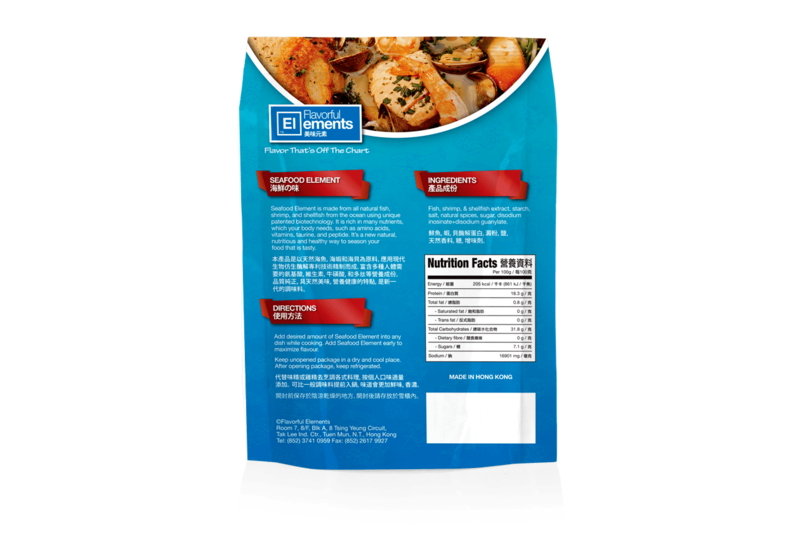 Their Seafood Element seasoning, made from all-natural fish, shrimp, and shellfish, uses patented biotechnology and is rich in nutrients such as amino acids, vitamins, taurine, and peptide. It’s a new natural, nutritious and healthy way to season food that is also tasty. Flavorful Elements was launching their brand and products into the Asian and American markets, and wanted to solidify a consistent branding and logo with international crossover. They also needed multilingual packaging design to better convey the benefits of their premier product, Seafood Element. Working with Flavorful Elements, I designed and created a colorful branding concept along with an impactful logo. Modeled after the periodic table of the elements, the logo cleverly plays on the company and product line names. 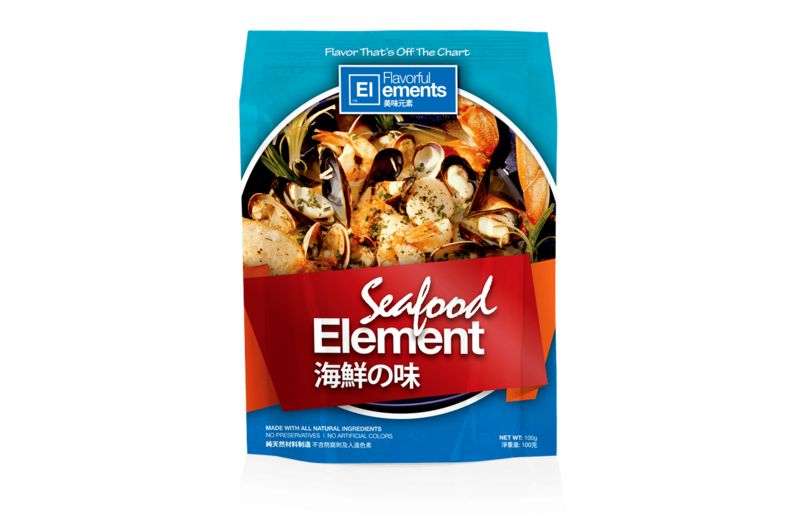 In addition, I designed packaging for Seafood Element in multiple sizes with a clean style and multilingual messaging to reach across multiple demographics and international markets. The overall branding and packaging design was a big hit for Flavorful Elements, as well as their retailers and consumers.